Used through out the country for Filtration of Transformer Oil. We are among the leading manufacturers and suppliers of Reusable edgeFilter Paper Packs in the industry. 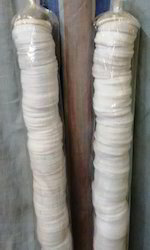 The offered edge filter paper packs are extensively utilized for transformer oil filtration and are mounted on aluminum pipes under compressed condition and covered with plastic tubing.